The Manawahe Eco Trust was formed to manage the community's interest in improving biodiversity in native forest within the Manawahe Ecological Corridor. It is a registered Charitable Trust and currently has five Trustees partnered with voluntary support from local community members. 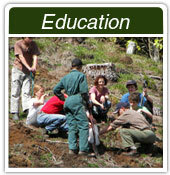 With help from volunteers, the Manawahe Eco Trust is committed to managing and enhancing the biodiversity of the area. The Manawahe Ecological Corridor is the only forested ecological corridor that exists between the Rotorua lakes and the sea. Contained within the corridor are populations of threatened species which include the iconic species of kokako. The important landscape features within the corridor have been recognised as an outstanding regional ecological asset. We have created another great course through stunning bush and steep farmland up in Manawahe. The race will be held on Saturday the 5th November 2016. Get you teams together and enter this fantastic race. From 10.00am - can you help? Registrations from 9-10am No cost to enter. Plenty of great prizes up for grabs. 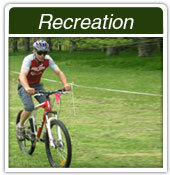 We have lots of fun activites and competitions organised for afterwards. Bring the family along to socialise, enjoy the day and a BBQ lunch. Thank you to everyone who competed in our 6 Hour Adventure Race. We hope you enjoyed the race. We would like to take this opportunity to thank our generous sponsors and supporters – Whakatane District Council, Edgecumbe Lions, Julians Berry Farm, Pee Jays White Island Tours, Christie Electrics, New World Whakatane and Kai Iwi Honey. Huge thanks to all the volunteers that were on board for the day and during the lead up to the race. You all did such a great job and your contributions are what brings it all together to help us deliver a successful event.